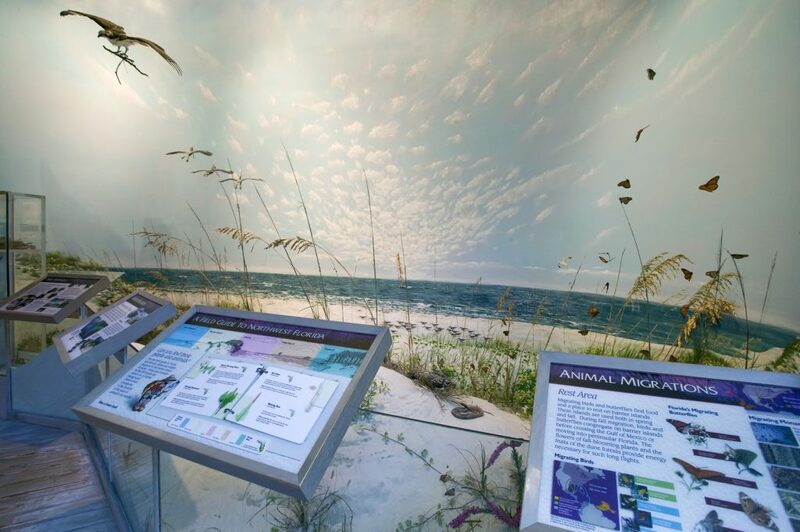 Follow the path of water — Florida’s most precious resource — as it flows through northwest Florida habitats, from limestone caves and springs to the Gulf of Mexico. Immerse yourself in a full-scale recreation of a hammock forest, and find more than 50 different plants and animals from high in the trees to the forest floor. Experience what it is like to be inside a northwest Florida cave. A life-size bog showcases northwest Florida’s amazing diversity of carnivorous pitcher plants. 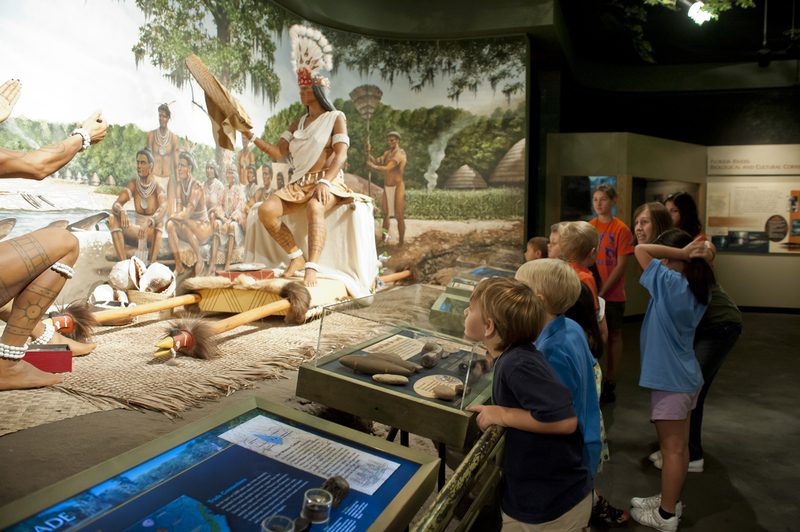 Travel back in time along the Apalachicola River to a Native American trading scene set in 1300 A.D., when northwest Florida was a major political and cultural crossroads. Explore the beauty and challenges of northwest Florida’s extensive tidal marshes and barrier islands, where salt-tolerant plants and other residents deal with constantly changing conditions. 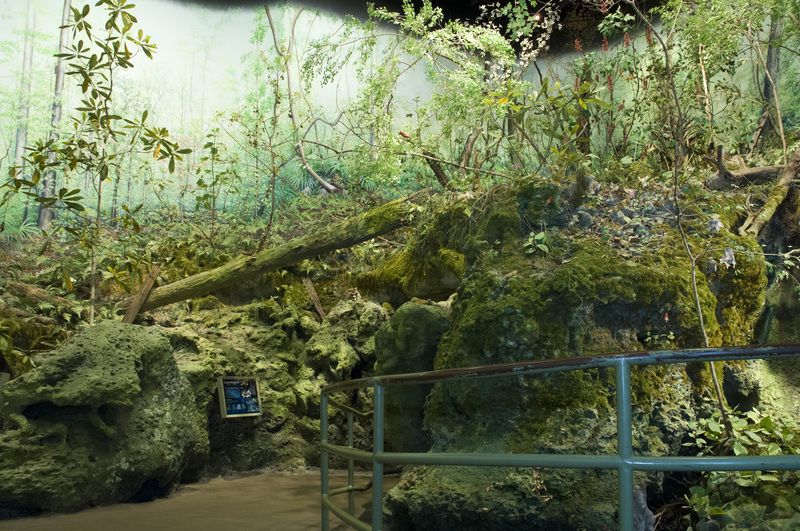 Experience what it is like to be inside a northwest Florida cave. 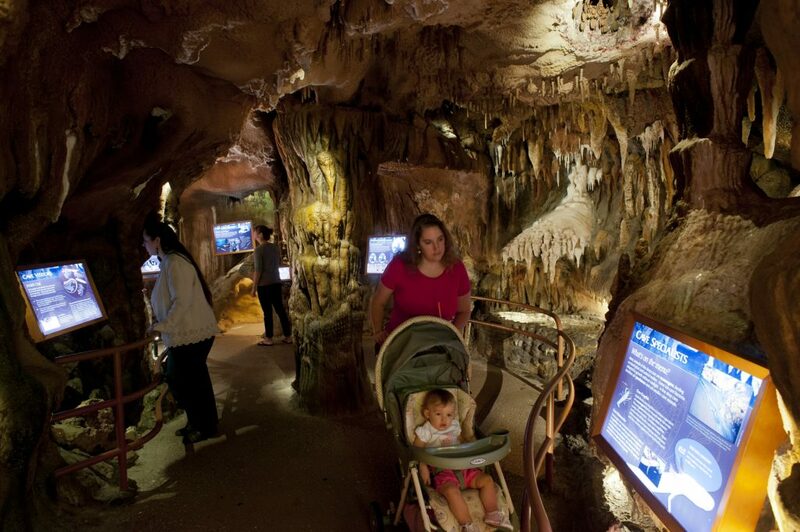 While exploring, learn about minerals, hydrology, cave life and the fossils in its limestone layers. 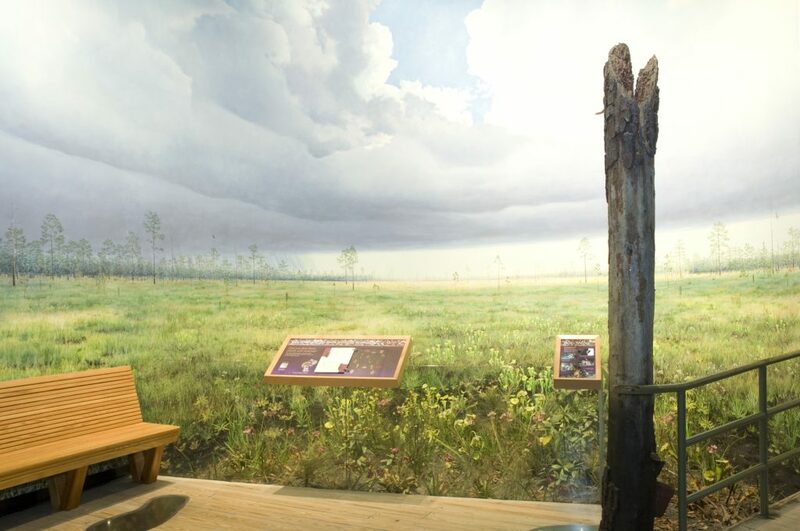 A life-size bog showcases northwest Florida’s amazing diversity of carnivorous pitcher plants, which thrive in this low-nutrient environment by trapping and digesting insects. North Florida hammocks have the greatest number of tree and shrub species per acre of all temperate forests in the continental U.S.
Seepage bogs of northwest Florida and adjacent states have the greatest diversity of pitcher plants on the continent, supporting more than half of the 45 North American carnivorous plant species. At 16 species, the Apalachicola River basin supports the highest number of reptile and amphibian species in Florida, second highest in the U.S. and third highest in the world. As far back as 5,000 years ago, Florida native people traded over huge distances, both importing (copper from the Great Lakes region, stone from the Appalachian Piedmont) and exporting (marine shells, pearls, shark teeth).